We heard, examined and evaluated the abundant testimonies of witnesses and experts as well as the wealth of data, information, facts, analyses and other evidence presented before us, orally and in writing, in person or through other efficient modes of communication like real-time live feed and also recorded video depositions from the Philippines. We have sifted through the plethora of facts and perused carefully the alleged bases in support of or against the grounds or issues in the Indictment. After a careful and thorough evaluation of the evidence presented and offered by the Prosecution the Tribunal concludes that the evidence complied with the evidentiary requirements, and that these evidence clearly established the factual basis of the indictment, and the culpability of respondents defendant Benigno Simeon Aquino III and defendant Government of the United States of America under the First Ground. The prosecution presented testimonies attesting to the individual cases of human rights violations ranging from extrajudicial killings, enforced disappearance, torture, forced evacuation, violation of the right to peaceably assemble anad other human rights violations. The Tribunal notes at the outset that it was able to observe the demeanor of these witnesses when they testified, and finds their testimony credible, and is supported by the other evidence submitted by the Prosecution in the course of the proceedings. “1. Everyone has the right to liberty and security of person. No one shall be subjected to arbitrary arrest or detention. No one shall be deprived of his liberty except on such grounds and in accordance with such procedure as are established by law. “2. Anyone who is arrested shall be informed, at the time of arrest, of the reasons for his arrest and shall be promptly informed of any charges against him”. The presentation of Ms. Enriquez as an expert witness, who has been involved in the monitoring and documentation of human rights violations in the Philippines, thereby showing her expertise on the subject, provided an overview and context to these individual cases, and clearly established that these cases are illustrative of the other incidents and cases of human rights violations committed in the Philippines from the time respondent Aquino came into power in 2010, and the prevalence of their occurrence. These evidence also established that these violations are not random, since the victims were specifically targeted, and their killing and/or abduction followed a pattern. As she testified, from July 2010 to June 30, 2015, her organization recorded a total of 262 cases of extrajudicial killings, 27 cases of enforced disappearances, 125 cases of torture, 293 cases illegal arrest without detention, 723 illegal arrest with detention, 133,599 cases of threat, harassment and intimidation, 29,684 cases of restriction and/or violent dispersal of peaceful public assemblies, 60,155 incidents of forced evacuation among other incidents of violation of human rights. [ii] As argued by the Prosecution, the individual cases it presented in the course of proceedings are illustrative of the human rights violations as recorded by Karapatan, and testified to by Ms. Enriquez. The Tribunal cannot also ignore the overwhelming evidence showing that the perpetrators were either police, military, paramilitary and/or other state agents operating within the chain of command. This is evident from the testimonies of witnesses pointing to them as the perpetrators. The victims are human rights lawyers, human rights defenders, human rights advocates, political activist, leaders and/or members of sectoral or peoples’ organizations. They were vilified and tagged as members of the Communist Party of the Philippines/New People’s Army, and were subjected to threats, harassments and intimidation. Unfortunately, some of them became victims of extrajudicial killings like Fernando Baldomero, Willem Geertman and Romeo Capalla in violation of their right to life as under Art. 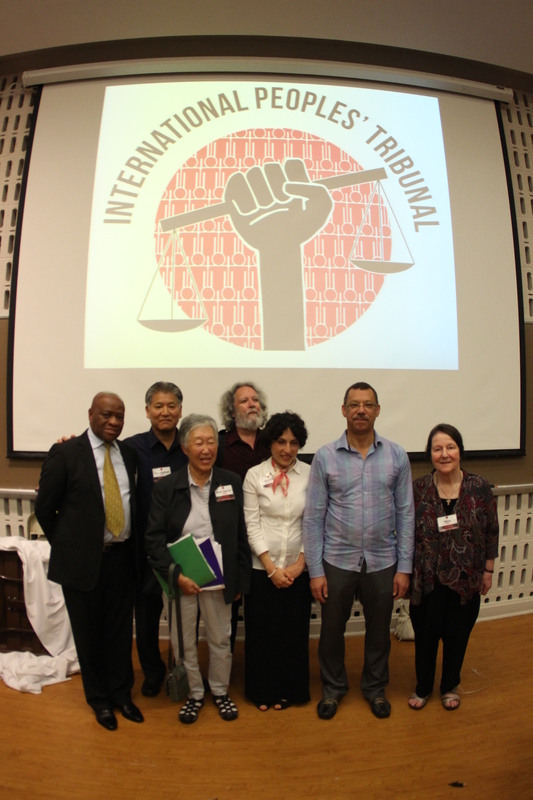 6 of the International Convention on Civil and Political Rights. Some were abducted and was never seen again like Jully Devero, Karen Empeno, Sherlyn Cadapan and Manuel Merino. Many were harassed and intimated like Atty. Salucon, Zara Alvarez and the other Negros activist because of their advocacy and activism. Some experienced torture and illegal detention like Melissa Roxas and Rolly Panesa in violation of Articles 5 and 9 of the Universal Declaration of Human Rights, Art. 7 of the ICCPR and the Convention Against Torture Law, and some were denied their rights because of their advocacy work like Bonifacio Ilagan and the other excluded Martial Law victims. The evidence presented by the Prosecution also established the Philippine Government’s utter disregard and lack of respect for the people’s basic constitutional right such as the right to peaceably assemble and to free expression as exemplified in the SONA dispersals as testified to by Bishop Toquero. The mere fact that the Filipino people is being deprived of such basic constitutional right, which act likewise violates the provisions of Art. 21 of the ICCPR, provides a picture of the degree of repression unleashed by the Philippine Government under respondent Aquino. People in the countryside suffer the brunt of the extensive and continuous military operations and offensives. Military atrocities against civilians have been regularly reported. Such atrocities are also directed against specific individuals and/or communities. Communities and leaders who are opposed to large scale mining, environmental degradation brought about by so called “development projects”, or those who dare resist and expose repression and/or assert their basic rights are the ones targeted. They were tagged as supporters of the CPP/NPA as justification to occupy their villages and to harass and intimidate their leaders. This is what happened to Talaingod, Davao Del Norte and in Balit, San Luis Agusan Del Sur, and several other communities, who were forced to evacuate because of threat of violence from soldiers. As testified to by the witnesses, the experiences of the residents of Talaingod and Balit were also experienced by other indigenous communities where there are mining operations. These acts are violative not only on the laws of the Republic of the Philippines protecting the rights of indigenous peoples, but also of the provisions of Sections 19 and 20 of the Algiers Declaration. These military operations were also directed against the operations of literacy and numeracy schools, learning centers and similar institutions designed to provide literacy and educational programs to children in areas where there is no public schools provided by the Government, like the numeracy and literacy schools of the Rural Missionaries of the Philippines-Northern Mindanao Region (RMP-NMR). This deprives the children of the only opportunity to learn. Even defenseless children and youngsters are subjected to violence, threats, harassments and intimidation as exemplified in the case of the Antivo brothers one of whom was killed when soldiers intentionally shot at them, and that of Bandam Dumanglay, and Noel Baes. Even ordinary civilians, who have no political affiliations and/or inclinations, were not spared from such atrocities as exemplified in the case of Rolly Panesa a security guard who was illegally arrested, tortured and detained and was paraded in public as “Benjamin Mendoza”, an alleged high ranking officer of the Communist Party of the Philippines, if only to get the bounty of P4,600,000.00. Several other civilians suffered the same experience. In their counter-insurgency operations, the Philippine military disregarded the rules of engagement and the standards of International Humanitarian Law, as illustrated in the case of Arnold Jaramilla and his six other companions who were mercilessly killed by soldiers. Also killed during the incident were two civilians, one of whom was used as a shield by the soldiers. The Philippine government should also be faulted for its failure to investigate and prosecute human rights violators who committed atrocities during the previous Governments. Among these cases is the case of Melissa Roxas in which the Government failed and refused to conduct an investigation to identify one of the perpetrators described by Roxas. The same is also true with the case of Raymond Manalo, and that of Sherlyn Cadapan, Karen Empeno and Manuel Merino. Worse, many of those accused of being responsible for these atrocities are being promoted and/or given sensitive positions in the Philippine Military establishment. The Tribunal agrees with the testimony and presentation of Ms. Enriquez that the failure of the Philippine Government through respondent Aquino to identify, investigate and/or prosecute the perpetrators of these violations is among the contributing factors in the prevailing impunity in the Philippines. The fact that witnesses point to the members of the military and/or police forces is direct evidence linking not only the military and police establishments, but also the Government of the Philippines in the killings and in the commission of human rights violations. As has been established and observed, the killings and disappearances follow a pattern. The victims are vilified as members of the Communist Party of the Philippines, and Tribunal notes that almost all the victims on first ground mentioned that they were subjected to red tagging, this was mentioned by witnesses in the cases of Willem Geertman (witness Aurora Santiago), Romeo Capalla (witness Coy Gemarino), Fernando Baldomero, Zara Alvarez, Atty. Salucon, Bonifacio Ilagan, Melissa Roxas and even Raymond Manalo. After vilification, the victims are subjected to surveillance and then later killed or abducted as in the case of Willem Geertman, Romeo Capalla, Melissa Roxas. The killings and the abductions were committed in the presence of witnesses. In all of these cases, no attempt was made to conduct a serious investigation to determine and establish the identities of the all those involved in the violations, if there are any pending investigations or cases, it only involve the low ranking officers and not those who ordered the killings or the abductions. This is the pattern of impunity, which are evident in all the cases presented before this Tribunal, and are circumstantial evidence is an additional evidence that strongly points to the participation of the military and police in all these violations. To reiterate, these are not random violations, as shown by the pattern that is discussed above. As contextualized by Ms. Enriquez, the Tribunal agrees that these gross violation of human rights is being systematically carried out by the Philippine Government as part of its internal security program, the Oplan Bayanihan, which was patterned after the counter-insurgency program of respondent government of the United States. The same counter-insurgency policy was devised and implemented upon the orders and direction of Defendant Aquino as the Chief Executive and the Commander in Chief of the Armed Forces of the Philippines. Taking this into consideration, respondent Aquino, cannot escape liability for these atrocities and violations. He is directly responsible for having actively devised and implemented the Oplan Bayanihan which resulted in gross violations of the peoples’ civil and political rights. It is also clear that Oplan Bayanihan, was devised and is being implemented with the assistance of the defendant Government of the U.S. either through technical assistance and actual participation of its military personnel in combat operations. The Philippine military is also being propped up through the continuous military aid from the U.S. Evidence was presented by witness Liza Maza who was barred from boarding her plane at the Ninoy Aquino International Airport at the instance of Uthe .S. Government, thereby effectively barring her from personally participating in these proceedings. This is evidence showing direct intervention by the US government specifically in this case through the Customs and Border Protection of the Department of Homeland Security. Moreoever, this reflects the extra-territorial application of US national security imperatives through immigration authorities, and in violation of Filipino sovereignty. This is also evidence of US government policies of ideological exclusion, keeping out individuals whose viewpoints expose US government’s human rights violations. The evidence presented for this charge reflects the imposition against the Filipino people of methodologies and modalities of state terror which share many key common features – generalized violations of democratic rights, imposition of neoliberal policies, systematic practices such as torture, forced disappearances, extrajudicial executions, the targeting of political dissidents and indigenous peoples, etc.- with similar cases elsewhere in the world, including military and authoritarian régimes of Latin America in contexts such as Argentina, Chile, Uruguay, Paraguay, Perú, Guatemala, and El Salvador in the 1970´s and 1980´s. These reflect U.S imposition throughout the world during this period of national security doctrine and counter-insurgency within the context of the Cold War. These of course converge with and include many of the worst aspects of the Marcos régime, whose historical legacies of exploitation, corruption, and abuse evidently persist in the Philippines today through such practices. In view of these considerations, it cannot be denied that the defendant Government of the U.S. is equally liable with Defendant Aquino for these gross human rights violations committed against the civil and political rights of complainants, the Filipino people. Surely, all these acts are actionable wrongs. Unfortunately no serious effort has been made to identify, investigate and prosecute the perpetrators, by reason of which, the complainant were forced to submit these cases before this Tribunal. The acts described in the indictment and established by the evidence of the Prosecution are violative of the fundamental rights of the people under international laws such as the Convention Against Torture, UN Rights Articles, relevant Rome Statutes and fundamental rights enshrined in the Filipino Constitution which and can be the subject of an action under Article 27 of the Algiers Declaration of 1976[iii] as well as other international human rights treaties and conventions. The Philippine elite and Transnational Corporations (TNCs) operating therein in the last four decades have acquired enormous economic and political power which allows them to exert considerable influence on government institutions, to interfere into the regulatory framework, to disdain cultural traditions and to ignore the customs of the daily life of the peoples. That happened because the Philippine government has allowed that to happen. The policies of globalization, which was imposed unto the said country by the United States, have been deeply planted and implemented in the economic framework of development of the Philippines, with the consent and even collaboration of the Filipino government against the Filipino people. Liberalization, deregulation, and privatization, neo-liberal free market policies prescription that was given by the United States of America through the US controlled international bodies – the International Monetary Fund (IMF), the World Bank, and the World Trade Organization – have distorted the economic growth of the Philippines to serve the narrow interests of the elite. As a result of these policies, national legislation concerning trade and investment, labor and employment, education, health, other basic services, and the environment has been deregulated. Protective rules to promote the people’s welfare, economic freedom, food security and safety, as well as security to life and liberty, have widely been dismantled. The policy of globalization benefits business and multi-national corporations. It, however, marginalizesthe people who need social protection against economic exploitation and plunder of the big business interest. Globalization, from the 1980s onwards, triggered one financial crisis after the other: first the debt crisis of the Third World/Global South in the 1980s, then the financial crisis of Asian and other emerging economies in the 1990s, followed by the “new economy”- bubble in the US and, since 2001, due to the policy of cheap money of the US-American Federal Reserve Bank, the subprime loan bubble which spectacularly exploded in 2008. Since then the world economy is in a deep depression. As reflected in the statement of Mr. Africa, “Philippine poverty and underdevelopment are not accidental outcomes. The violation of the economic, social, and cultural right of tens of millions of Filipinos results from the conscious and systematic implementation of economic policies designed to benefit a few rather than meet the needs of the many. Philippine elites and foreign monopoly capitalists impose market- and profit-driven globalization policies to oppress and exploit the Filipino people. One recent example of the evils of globalization is Greece. The economic turmoil that is happening in Greece shows that rich countries will do everything under their power to further exploit and impoverish the already suffering people of Greece. And what is happening in Greece mirrors the state of affairs of the Philippines, as has been discussed in the statement of Mr. Africa. In a neoliberal environment such as the Philippines, business has been, to a large extent, free to realize profit-maximizing strategies without much regard to social and environmental rules, health concerns, cultural traditions and democratic rights of the people. The impact of globalization on the natural environment was also disastrous. It added new loads of harmful and even dangerous emissions on natural systems and it continued the plundering of natural resources. As shown by the evidence presented, profit-related interests have been the priority and, concomitantly, people’s rights come second. The profit-first policy otlined by globalization policy had grave repercussions on human rights as nearly all witnesses explained. As a result, the room for the protection and the strengthening of human rights is shrinking. The effects of these economic activitiess especially mining undermine and threatens undermine all dimensions of human , environmental, health, and food security, safety and shelter, and public and political security. The record joblessness caused by the implementation of globalization policies has driven millions of Filipinos overseas to find work to support themselves and their families. The conditions of these Filipino migrant workers are overwhelmingly exploitative as they join hundreds of millions of other migrant workers worldwide in providing cheap labor for capitalist firms and foreign economies. The Philippine government has actively supported this cheap labor export policy to generate foreign exchange for the backward domestic economy and to relieve the social volcano of the unprecedented domestic jobs crisis. Yet it grossly fails to provide some 12 million overseas Filipinos and their families with the necessary legal protections and financial support. Worse, the compulsion to encourage cheap labor export has meant a half-hearted effort against illegal recruitment and the trafficking of Filipinos including for the illegal drug trade. This has put the most desperate Filipinos into extremely dangerous situations, such as in the case of Mary Jane Veloso, and hazardous work conditions. 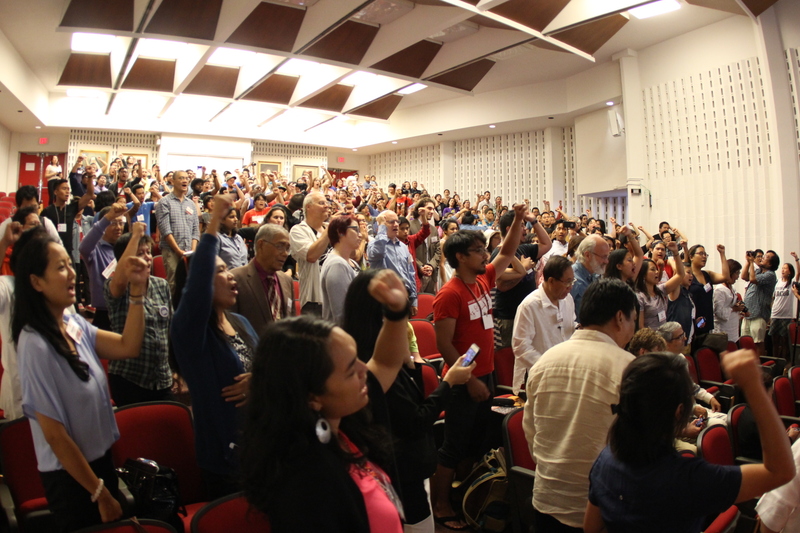 In the Philippines, many witnesses, especially indigenous peoples, peasants and urban poor and workers complained about the rising level of violence. The mining companies and their defense and security forces provided by the government, such as military, the private militias and para-military groups, parts of the police, are responsible for the violence and economic dislocation and degaradation of the people in the countryside. As shown by the evidence, the state apparatus very often is in collusion with mining companies, big landlords and giant developers whereby the wrongdoings, broadly documented by the witnesses and summarized in their briefs, occur, while impunity becomes a normal systemic reaction, so bitterly frustrating for the people concerned. Corruption in the grandest scale of public funds have also been institutionalized no less by the Executive Department and Philippine Congress. The controversial pork barrel system, the Disbursement Acceleration Program (DAP), and the Priority Development Assistance Fund (PDAF), among others, only give benefit to the politicians, not the ordinary Filipino mortals. Agriculture and land reform, national industrialization and social security have also been undermined. Even when it has been a yearly occurence that the Philippines is struck by powerful typhoons, no concrete measure were undertaken to mitigate its impact. Business and profit-seeking ventures have been prioritized; concern for climate change and its impact relegated to the sidelines. Scientific research has shown that the cumulative environmental effects of economic growth and modernization in industry as well as on the countryside, have led mankind to “planetary boundaries”, some of which have been trespassed. Yet, the Government of the Philippines, even when it is directly affected by such phenomenon, saw no urgent need to stop the destructive economc activities of mining. We saw how Super Typoon Haiyan, or Yolanda and much earlier than than, Typhoon Pablo, wreak havoc on the lives and livelihood of the Filipino people. But, nearly two years after, ther have been no improvement on the lives of the victims of these natural calamities. The testimony of a victim of Typhoon Yolanda and video presentation on the state of the victims of said typhoon powerfully show that defendant Aquino and his government committed criminal neglect when they failed to immediately and effectively help, and rehabilitate or cause the rehabilitation of the victims. The wealth of testimonial and documentary evidence provided by the Complainants has provided this Tribunal strong bases to find Defendants culpable of gross and systematic violations of the rights of the people to national self-determination and liberation. 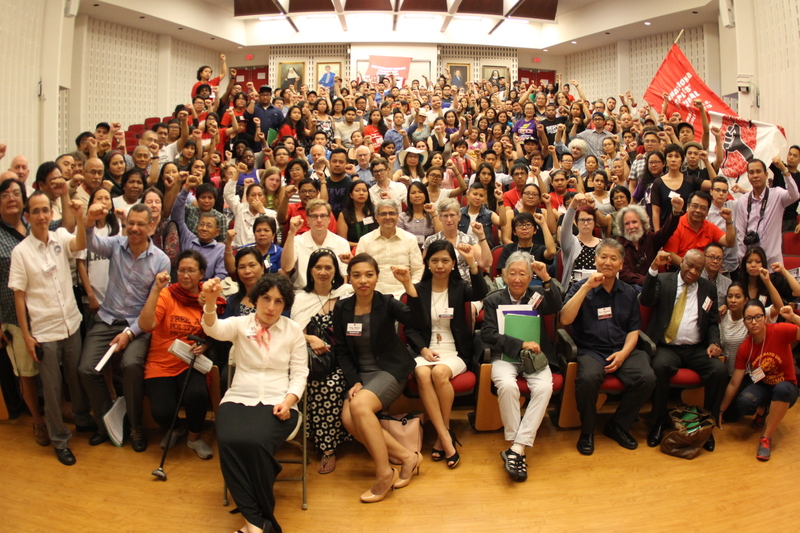 The Filipino people must be allowed to chart their future as a people and struggle for their liberation from the exploitation and oppression by the Defendants. This Tribunal finds that the control by the US government of the Philippines allowed it to impose political, economic and military policies in the country including its war of terror. The act of the US of preventing a key Prosecution witness, former Congresswoman Liza Maza, from departing from the Philippines only highlights the extraterritorial and invasive character of the borderless war waged by the US. In the imposition of such war, the US intensified its direct intervention in the country through active deployment of troops in the Philippines under the cover of the Visiting Forces Agrement (VFA), the Enhanced Defense Cooperation Agreement (EDCA) and other unequal and interventionist agreements under its policy of Pivot to Asia-Pacific, to counterweigh Chinese power. These agreements violate Philippine sovereignty and the right to self-determination. There is evidence, particularly from the Mamasapano incident, that US troops actively participated in intelligence and combat operations in Mindanao, which established illegal US involvement in Philippine military operations. In the course of the implementation of the US war of terror and intervention, the Defendant US government together with the Philippine Government, through Defendants President Obama and President Aquino committed war crimes and crimes against humanity in violation of international law. Lastly, this Tribunal finds that US intervention is not limited to the imposition of its war of terror to defeat the struggle of the Filipino people to liberate themselves from an oppressive and exploitative system, but also includes actions to continue this war by derailing, through terrorist tagging, any efforts by the Filipino people at achieving peace. The Defendants’ act of “terrorist tagging” is not only intended to define their military targets, but also, sabotage the peace process between the National Democratic Front (NDF) and the Philippine government. These constitute a violation of the Comprehensive Agreement on Respect for Human Rights and International Humanitarian Law, the very agreement signed by the Philippine government and the NDF as a major step in efforts to engage in the peace process. The arrest, detention, and filing of trumped-up charges against their peace consultants is apparently a violation of the Joint Agreement on Safety and Immunity Guarantees. What makes matters worse is that despite the legal victory in Europe by Prof. Sison that took him out from the European terrorist listing, the US persists in restricting his peace making role through its continuous harassment and terrorist tagging, restricting his freedom to travel and the freezing of his bank accounts in the US. Specifically, and in addition to the international laws mentioned, the Tribunal finds the acts subject of the Indictment violative of the general principles of international law. 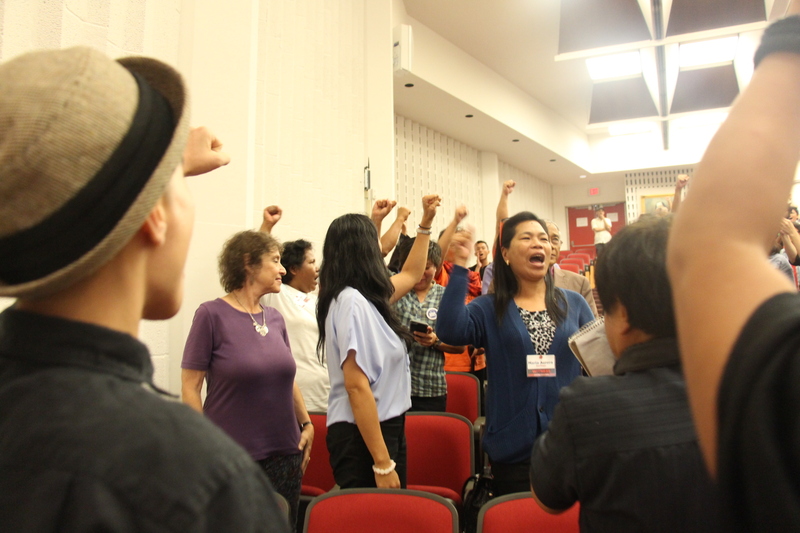 The Tribunal notes that US impositions on the Filipino people forms part of its global actions to trample on the rights of the people in Asia and throughout the world in its desire to maintain its dominance and establish its political, economic and military hegemony. 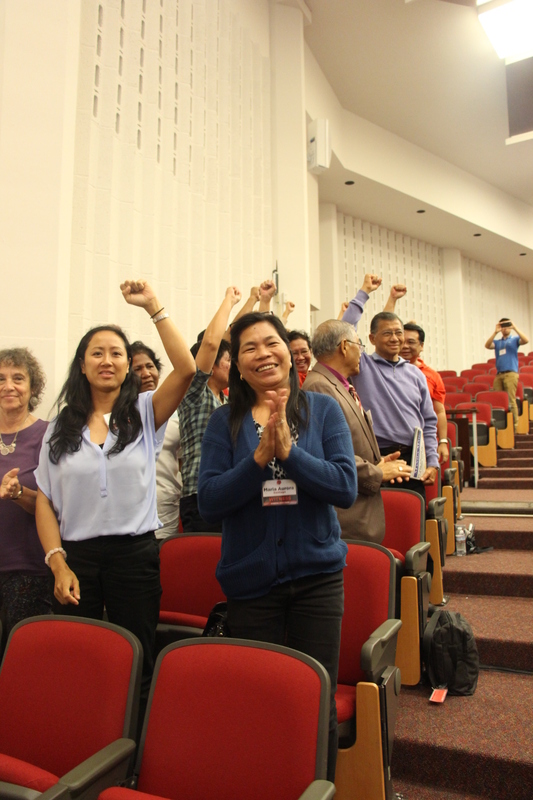 The Tribunal recommends, as part of our Verdict, that the Filipino people forge stronger international solidarity relations with the peoples whose rights are being trampled by the US, and together struggle for liberation from the yoke of US imperialism. Furthermore, considering the serious violations of international law by the Defendants, the Tribunal is of the opinion that said violations be brought before international bodies both to battle the Defendants in all possible arenas and at the same time push these international bodies to proscribe the illegal acts of the Defendants and strike a blow against impunity. Lastly, the tribunal seriously condemns the continued efforts of the Defendants to abandon the peace process and address the roots of the conflict in the Philippines in order to achieve a just and lasting peace. Over the past two long, painful and enraging days, We have closely and keenly listened, watched, seen, asked, pondered on an uninterrupted procession of witnesses, survivors, families and friends – victims all in each and every way – as well as experts whose opinions are uncontested and indisputable because they constitute very credible testimonies, accounts and reports. 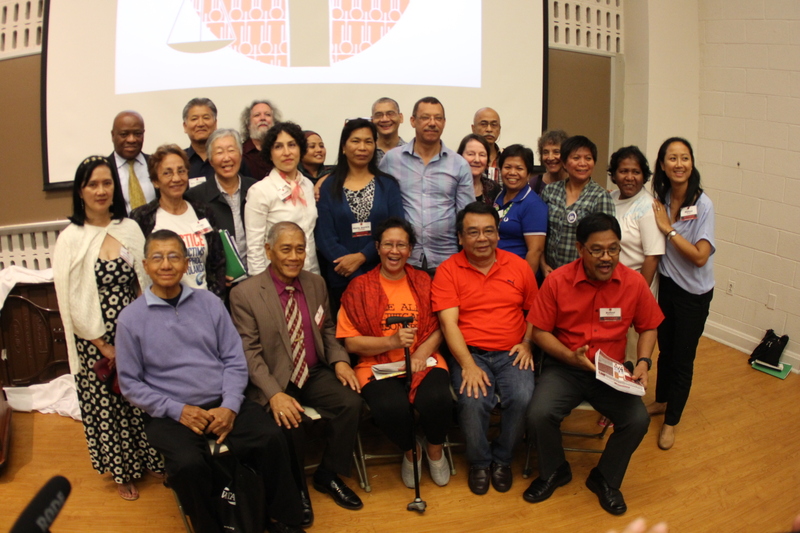 As the Prosecution says: they have presented meticulously and thoroughly “a compelling case of complicity, collusion, responsibility, and liability for gross, massive, and systematic human rights violations.”[vii] They presented one after the other, 34 cases with 32 witnesses, 17 here in Washington, D.C., 10 in Manila, 5 from the more far-flung parts of the Philippines. The People have also submitted 29 more cases for the consideration of the jury. [viii] Indeed, the Prosecution has satisfied the burden of proving satisfactorily that the Defendants, in concert with each other, willfully and feloniously committed gross and systematic violations of Filipino people’s basic human rights. Indeed, the People have proven the Defendant government of the Philippines unabashedly surrendered its national patrimony and sovereignty to corporate entities in important industries, particularly and most especially in mining. Truly, by evil design, the defendant Philippine and US governments have conspired to prevent or distort the development of the Philippines as they have prescribed and imposed policies intended to disregard and marginalize agriculture and national industrialization. That we have also satisfactorily proven before this tribunal. The People have convinced this Tribunal of the interventionist policies in the Philippines and in Asia by the defendant United States government. Various military operations under Defendant President Aquino have resulted in crimes against humanity and war crimes. The nexus between the culpability of Defendant Aquino and the role and participation of Defendant United States government for gross and serious violations of civil, political, social, economic and cultural rights and the right of the Filipino people to national self-determination and liberation is borne by the facts and the evidence fully established during the Tribunal. GUILTY of gross and systematic violations of the rights of the people to national self-determination and liberation through the imposition of the US war of terror and US military intervention; as well as the perpetration of crimes against humanity and war crimes; misrepresentations of the people’s right to national liberation and self-determination as “terrorism” and the baseless “terrorist” listing of individuals, organizations and other entities by the US and other governments. We enjoin the Defendants to undertake, and the People to pursue proper remedial measures to prevent the commission or continuance of such illegal and criminal acts, to repair the damages done to the Filipino people and their environment, compensate the victims and their families for their atrocities, and to rehabilitate the communities, especially indigenous communities that have been destroyed by the criminal acts of the Defendants. We also encourage the peoples of the world to seek redress, to pursue justice, and to transform this oppressive, exploitative and repressive global state of affairs exemplified by the experience and plight of the Filipino people, to challenge the international “rule of law”, and to construct a global order founded on full respect for the rights of all peoples, everywhere. A full and complete version of this Verdict shall forthwith be issued by this Tribunal. This Verdict is without prejudice to an extended or supplementary opinion which will form part an integral of the same. Let copies of this Verdict be furnished to all the Defendants. Let copies of this Verdict be published and sent to all other individuals, organizations and entities concerned, including the ICJ, Prosecutor´s office of the ICC, to the Inter-American, European, African, and Asian regional courts or systems, and to lawyers associations, human rights defenders, Law Schools, and human rights programs of study throughout the world. 18 July 2015, Washington D.C., USA. Ambassador Jose L. Cuisia Jr.
 “No one shall be subjected to torture or to cruel, inhuman or degrading treatment or punishment. In particular, no one shall be subjected without his free consent to medical or scientific experimentation. [iii] The gravest violations of the fundamental rights of the peoples, especially of their right to existence, constitute international crimes for which their perpetrators shall carry personal penal liberty. [vii] Summation by the People, 17 July 2015.